GSTR-3B is a self-declaration form under GST. Unlike other GST forms, Taxpayers need not provide any invoice details while filing GSTR-3B returns. As per the CBIC (Central Board of Indirect Taxes and Customs) decision, the GSTR-3B returns have to be filed till June 2019 via the GST Portal. 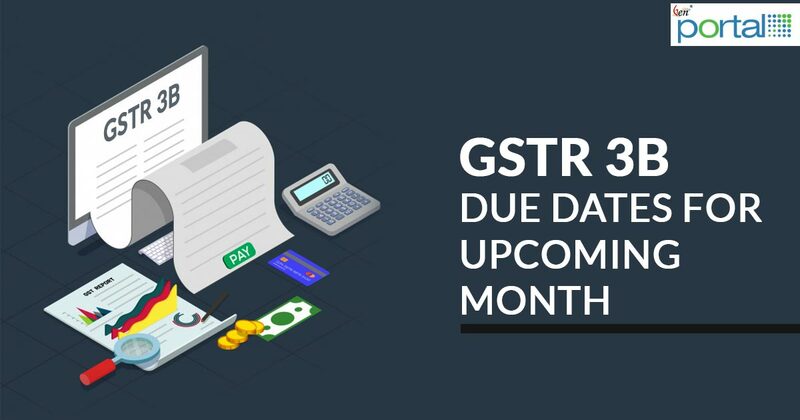 GSTR-3B has to be filed by the 20th of the subsequent month. Delays or non-filing of GSTR-3B returns will attract a penalty. Taxpayers are not required to file the GSTR 3B form manually. It is auto-filling by nature. Only sales and purchase values have to be provided by the taxpayer. The Tax Liabilities are before submission. GSTR 3B due dates are mentioned at the bottom while it must be filed every 20th of subsequent month. 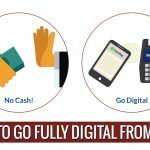 On account of the recent updates on the GSTN portal, taxpayers can file the GSTR 3B more easily and quickly than ever before. In a major relief move, the taxpayer who files nil returns now need to file a simple return form with minimum details. Post the implementation of the new functionality. Nil Return Taxpayers are freed of the erstwhile extra details that had to be provided. GST mandates the filing of GSTR 3B even by those taxpayers with nil returns. GSTR 3B is the monthly self-declaration form that has to be filed by all taxpayers irrespective of the returns. Under the GST norms, failure or delay in filing GSTR 3B will attract fine. Dealy will attract a fine of Rs 50 per day whereas Taxpayers with Nil Tax Liability will be fined Rs 20. All Newly migrated GST taxpayers will have to file GSTR 3B from July 2017 to February 2019 till 31st March 2019. Due date for filing GSTR-3B for December 2017 is mentioned as “By 20th January 2018”. My query is that whether the filing has to be done on 20th January 2018 only or it could be filed earlier than 20th January 2018. Due date is 20th of every month for GSTR-3B. but that doesn’t mean you have to file the returns on the due date only. you can file returns before due date also. but if the return is filed after due date then late fees provisions apply. If I filed GSTR 3B on 20th July then how much I should pay the Penalty. My question is GSTR 3B for March 2018 ( up to 1.5 crores ) due date is 20th April 2018. But after log in inserting ID & Password click on Return Dasboard, displaying only GSTR-1 Return.I wanted to know GSTR 3B to be filed or not. GSTR-3B has to be filed, for technical issued contact to GSTN helpdesk. Yes , GSTR -3b has to be filed by 20th april 2018 for the month of march. It is available on the portal for filing. is it possible gstr 3 b due date for dec17 will be extended. because before 2 to 3 days site was not working properly. TDS deducted on Rent received Less than Rs.1.2 crore per Year (Commercial Building).Submitting GSTR 3B return every month. Along with GSTR 3B is it compulsory to submit GSTR 1. quarterly ? 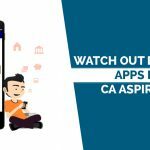 yes, you have to submit the GSTR1 in quarterly basic. Yes, for every tax period you need to file applicable GST returns on time. But she has field after the due date delayed by 9 days compute penalty to be payable by mis rani ? Interest will be charged on tax amount @ 18% p.a. to be calculated on day basis and late fees of Rs. 20/ day (if there is no tax liability) i.e. Rs. 10 each in CGST and SGST or Rs. 50/ day (if there is tax liability) i.e. Rs. 25 each in CGST and SGST will be levied. Pathetic GST process if a person is unable to make any business wants to file Nil when he is not earning any money but cannot do on his own how can he pay any file returns. If no business is conducted during tax period, then you can file NIL return for the concerned tax period. You can pay the differential GST after due date. Interest provisions on late payment would be applicable for the differential amount. Yes you can file the return. GSTR-3B is to be filed monthly only in each case of regular dealers. Purchase invoices are not to be shown by regular dealers in their G.S.T. returns. However a composition dealer need to show its purchase invoices in GSTR-4. As no revise return facility is available under GST, you have to make correction while filing GSTR-1 for the concerned tax period. Sir GSTR3B not required from July–18 is it true for below 1.5Crore qtr returns. I am partner of our firm, we applied for gst by july 2017 by fresh regi. Bcz at the time of regi. of gst our vat tin number was showning Tin cancelled.so provisional id was cancelled.so i applied for fresh gst number on partnership pan. I was given the provisional id to my clients. After some days this provisional gst also got activated. Now both the gst numbers active.some of my clients have shown gst no. 1 and i m filing gst no. 2 my sales is going through gst tin 1, and all the setoff showing in gst tin 2. What should i need to do in this case. I visited sales tax office but they told to follow up with gst helpdesk. But helpdesk doesnt worked on the case. What should i do. How i can get solved this problem. Please suggest what to do. Sir, Kya GST 3B Return June 2018 Ka Return Filling Ka Date Extent Hua Hai. Currently not have any update, if further comes then we will update. Sir, GSTR 3B Return July 2018 Ka Return Filling Ka Date Extent Hua Hai. is there any extension in due date of filing of GSTR 3B for the month July 2018 as the server is not working today? Yes Sir, According to the government website CBIC last latest updates of filing GSTR 3B for the month of July, 2018 has been extended to till August 24th 2018. GSTR 3B – Return date has been extended??? Lot of errors are coming on portal…. Currently not have any update regarding extended of GSTR 3B due date for August 2018. If you have not file GSTR 3B return for August 2018 then you can file with the month of the September 2018. Should we file the return? There is no option to submit in Sept 2018 return. 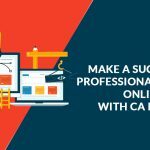 In case of sales value are not made there is no need to offset the return and before offset you can change any field you want. Whether due date for GSTR 3B for September 2018 has been extended? 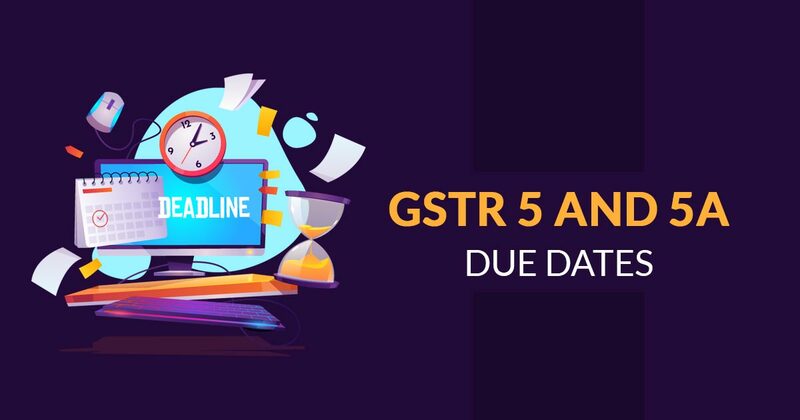 Yes, 25th October 2018 is the extended due date for GSTR 3B for September 2018. This is your purchase return and you need to raise the debit note for it in books only. Further, if input tax credit is taken in GSTR-3B then you have to reverse the credit in GSTR-3B in eligibility ITC tab. 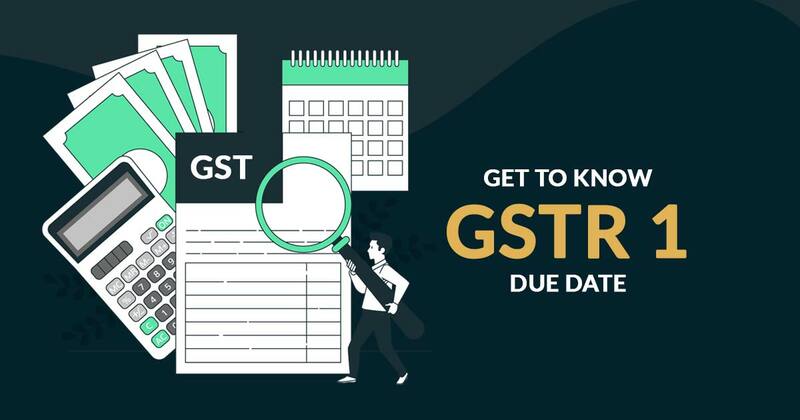 What is October GSTR 3B due date & late file penalty charges? 20th November 2018 is the last due date for filing GSTR 3B return for the month of October and If you file your GSTR 3B return after the due date then you pay Rs. 50/day i.e. Rs. 25 each for central and state. Currently not have any update regarding the extended due date. My Question will they return 25000 late penalty fee in my ledger for future use. The government does not return any late fees. Is due date for December 2018 for GSTR 3B extended or not? The due date of GSTR 3B December 2018 is not extended. All tax payer can file their GSTR 3B for the period July 2017 to September 2018 without paying any late fees up to 31st March 2019. But those who were newly migrated when GST migration process reopened can file their GSTR 3B for the period July 2017 to February 2018 without paying any late fees up to 31st March 2019. From 22/12/2018, all taxpayers who have not filed GSTR – 3B and GSTR-1 for for the months between July 2017 and September 2018, by the due date , can file their return by 31st March , 2019 without payment of any late fees. Due date of GSTR-3B for the month From Oct-2018 to Jan-2019 , as per notification is 31-3-2019. The due date of 31st March 2019 is only for newly migrated GST taxpayers from July 2017 to February 2019. How to we change GSTR 3b data after submitted return but before file. No changes allowed after submitting of return, you can only make changes while filing a return for the next tax period. Hi Sir, Now GSTR 3B for GST portal in 20.4.2019 any date extension today. Yes, Due date is extended by CBIC for GSTR 3B is 23rd April 2019.
can I make amendments/rectification in March 2019 for F.Y 2017-18 as per order No.02. You can only make changes while filing a return for the next tax periods.